Given the rising demand for skilled computer science professionals in California, it is vital that the state’s public schools provide all students with a solid foundation in computer science coursework. However, California’s school system is failing to prepare its students—particularly low-income students and students of color—for the technology jobs of the future. Path Not Found: Disparities in Access to Computer Science Courses in California High Schools exposes one of the foundational causes of underrepresentation in computing: disparities in access to computer science courses in California’s public high schools. This report provides new, detailed data on these disparities by student body demographics such as race, socioeconomic status, and primary language. The report also highlights dismal computer science enrollment in California’s 20 largest school districts and offers recommendations to close these gaps in opportunity. 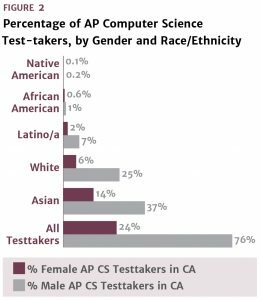 Nearly 75% of schools with the highest percentage of underrepresented students of color offer no computer science courses. Of the more than half a million high school students in the largest 20 districts, just 1% are in any computer science course. 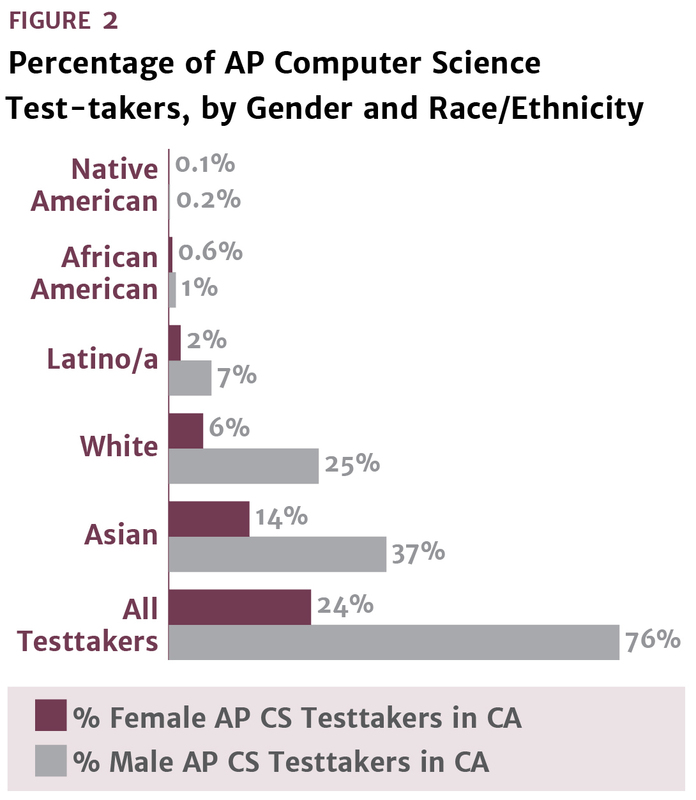 Only 4% of schools with the highest percentage of low-income students offer AP Computer Science.